Circling the internet in recent times I’ve come across curious ingredient combinations used to create healthy drinks. I’m sure you’ve heard about bulletproof coffee (butter in your coffee) which is touted to get good fats into your diet first thing in the morning. One in particular intrigued me; turmeric and virgin coconut oil with milk, best known as Golden Milk. Golden Milk is an ancient Ayurvedic drink made using turmeric and milk – and a great way to incorporate turmeric into one’s daily diet. The beauty of the recipe is, you can prepare enough paste in advance and it will store well in the fridge for a couple of weeks. Add optional vanilla, honey and/or cinnamon. It is surprisingly tasty, creamy and satisfying. It’s hard to believe that something this tasty can be so good for you. The studies say it is, so I’m all over it! Finally, a very small number of people have reported allergy to turmeric. If you’ve never eaten turmeric, start with a small dose and observe the body’s reaction. 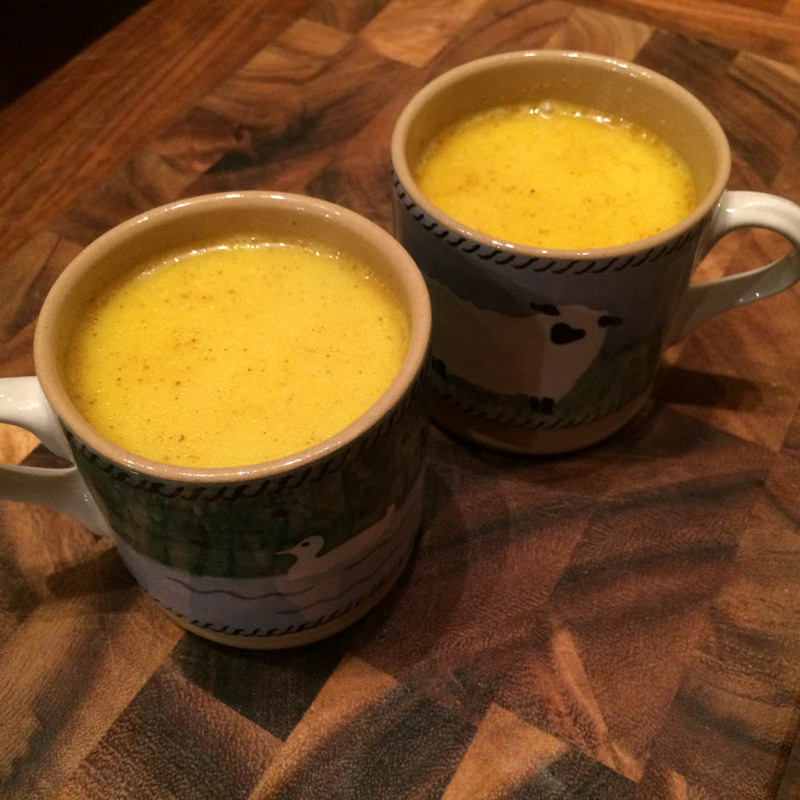 Have you tried Golden Milk, have you noticed any health benefits from drinking it regularly? Let me know, I’d love to hear from you.